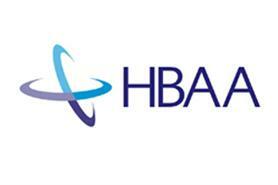 Agencies and hotels will be affected by public sector spending cuts in the coming year, according to industry consultant Melvin Gold, speaking at the HBAA annual forum this morning. In a survey carried out among the 300 delegates at the forum's opening plenary session, more than a quarter of agents and hoteliers said over 15% of their revenue was generated by the public sector. A total of 26% of agents reported that public sector spending was more than 15% of revenue, while the figure was 27% of hotels. "We have to consider not just the impact of a government department using your hotel but the business they will cut back on with the private sector," Gold told HBAA members and partners. "Customers are cautious and don't have perfect vision of the economy. Often they are not prepared to commit to a conference a year or two ahead." Gold was speaking at the association’s annual forum being held today and tomorrow (9 September) at the Holiday Inn Stratford-upon-Avon. He warned that the public sector is 50% of the UK economy in 2010/11 and, as spending is cut, that will also impact on the private sector. "You are probably more greatly exposed to the public sector than you think. The government is trying to shrink the public sector to be more in keeping with the overall size of the economy," he continued.